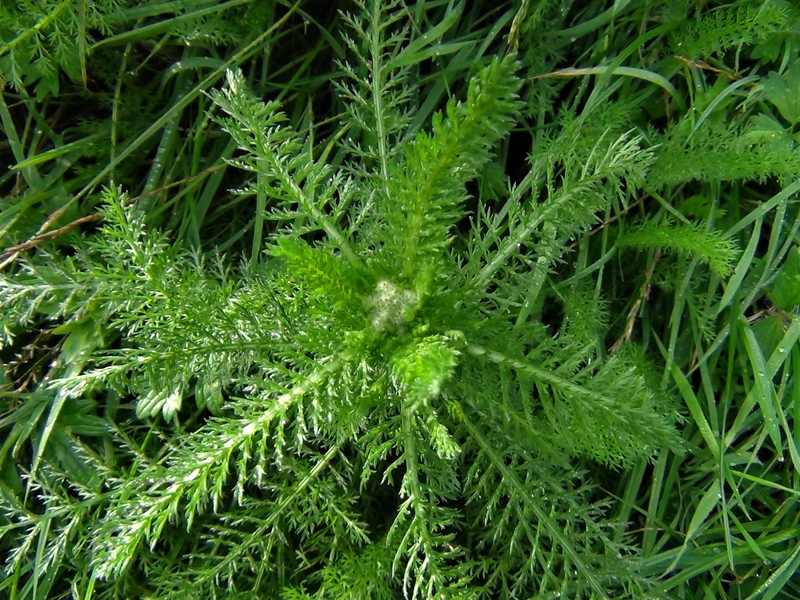 Very common and easy to identify with its feathery leaves. 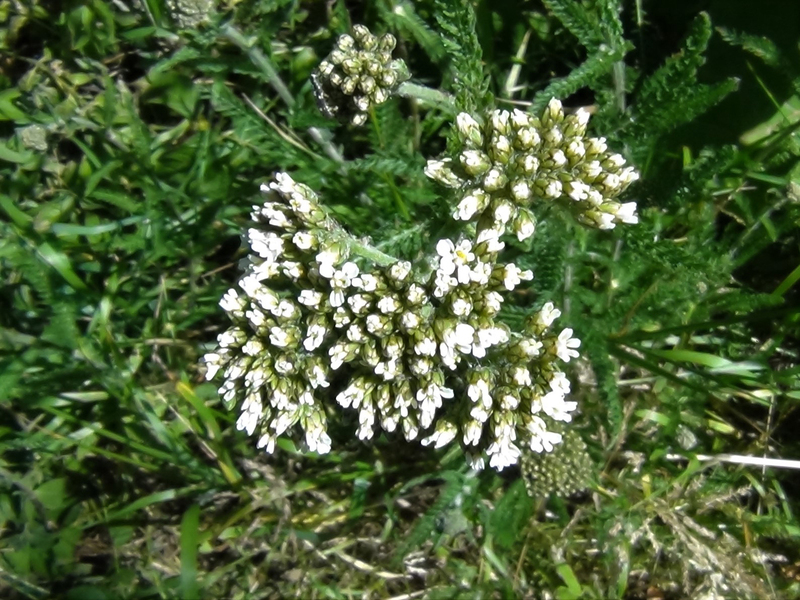 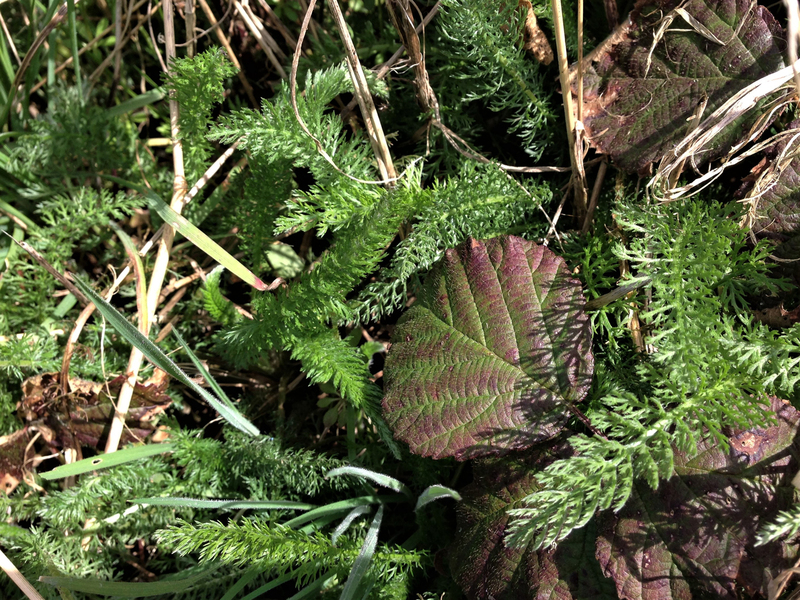 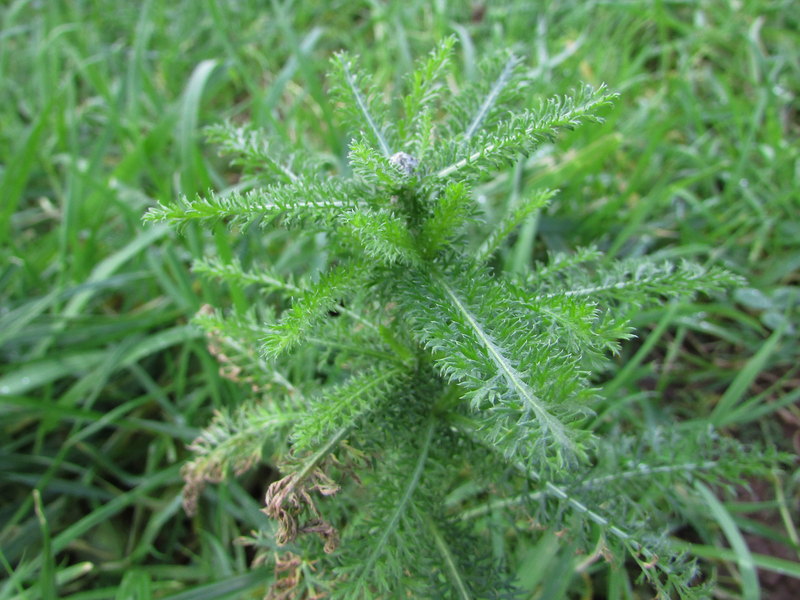 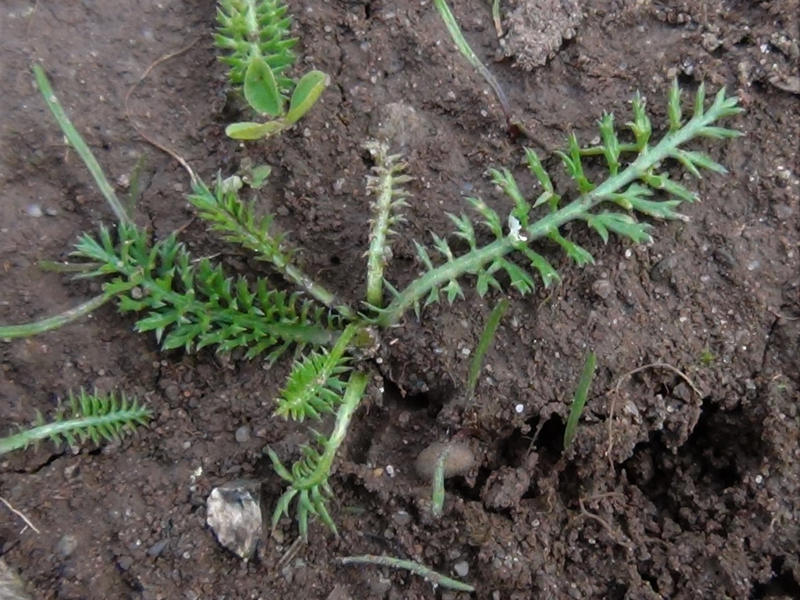 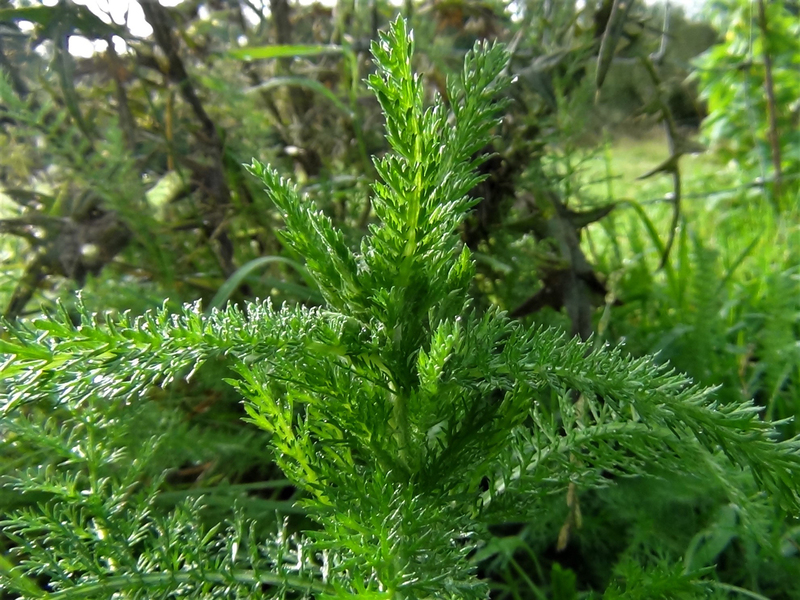 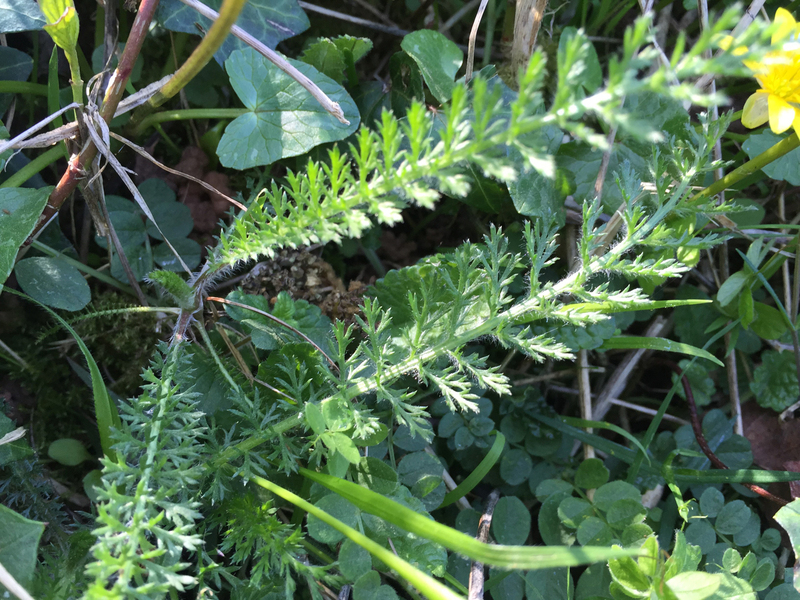 Yarrow can be found in most grassland. 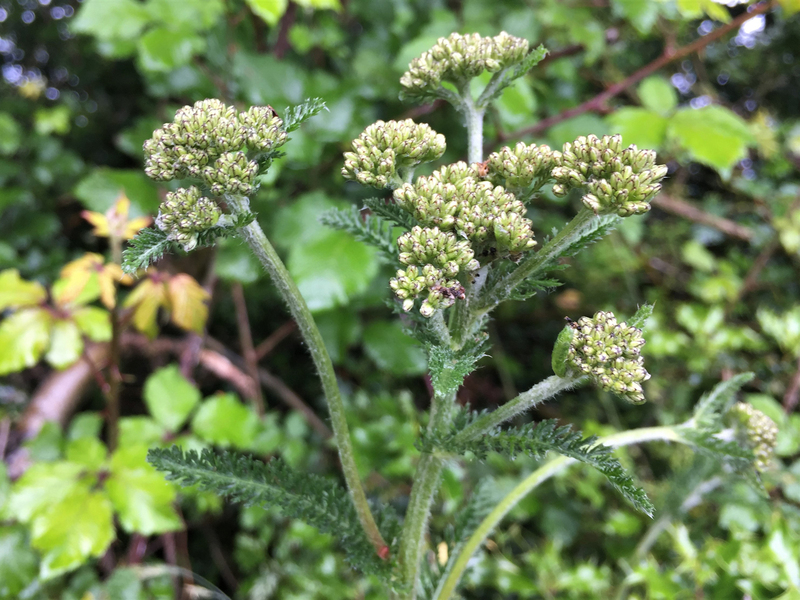 The flowers appear from June to October and make Yarrow look like a member of the Apiaceae (Umbellifer) family, although it is actually a member of the Daisy family. 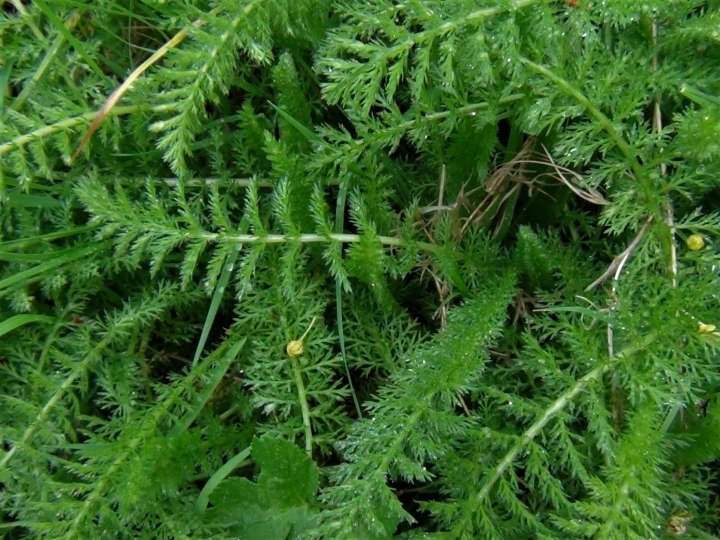 Green feather like leaves that are bipinnate or tripinnate and spiral around the small stem. 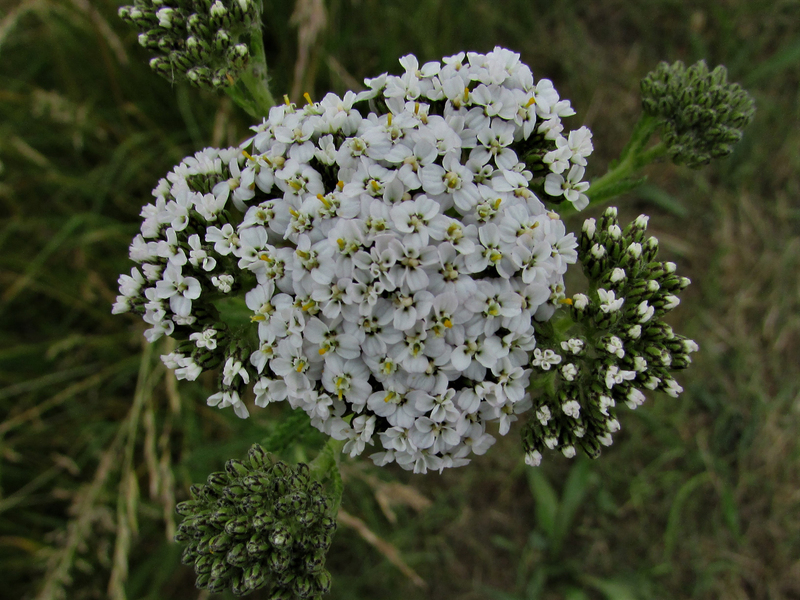 A cluster of small white to pink flowers are arranged in an umbrella like shape from June to September. 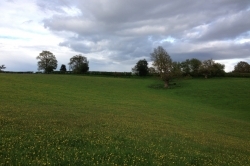 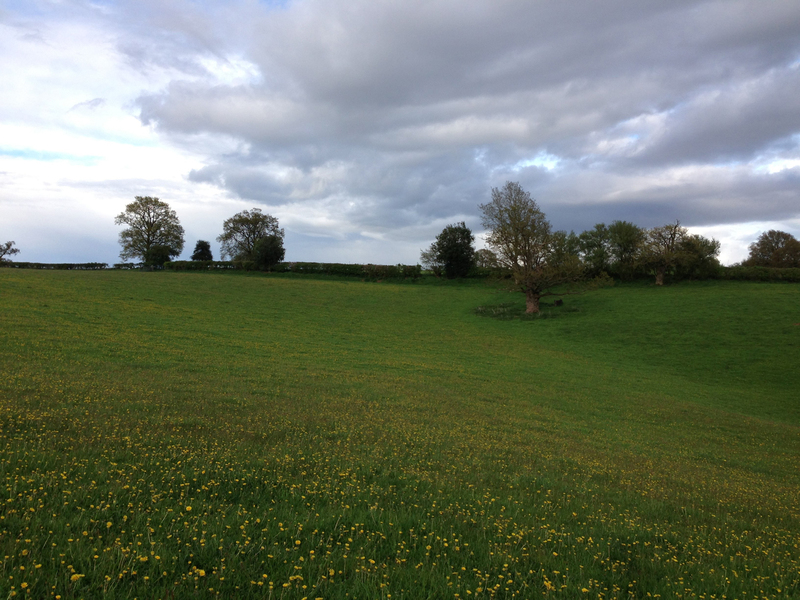 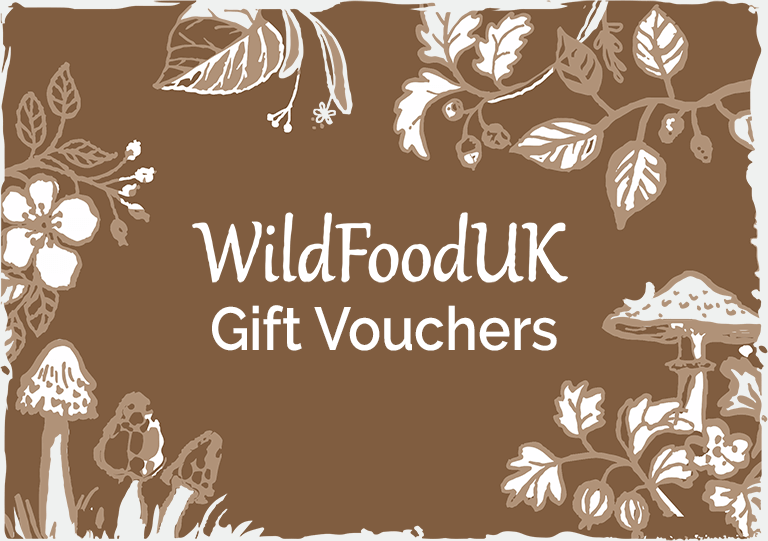 Fields, meadows, roadsides, gardens and almost anywhere grass grows. 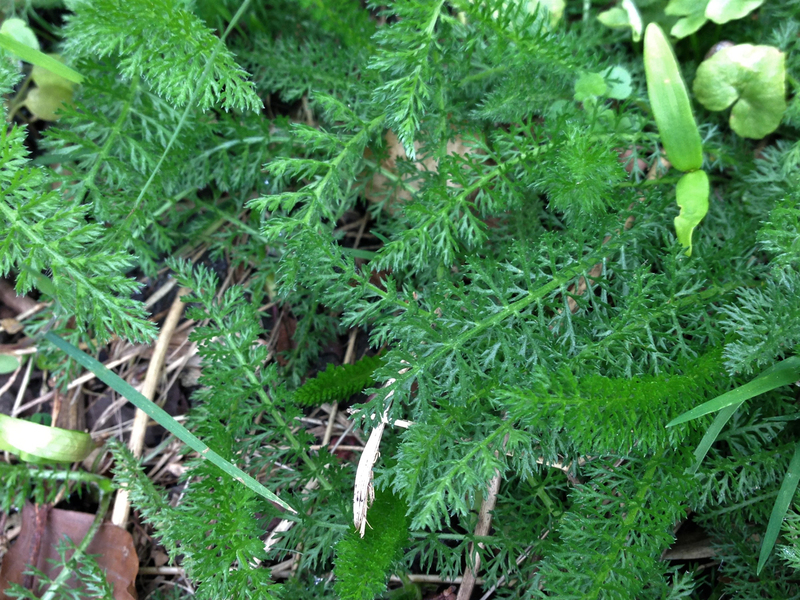 The leaves look a little like chamomile, pineapple weed, pictured, or tansy but all three of these are edible. 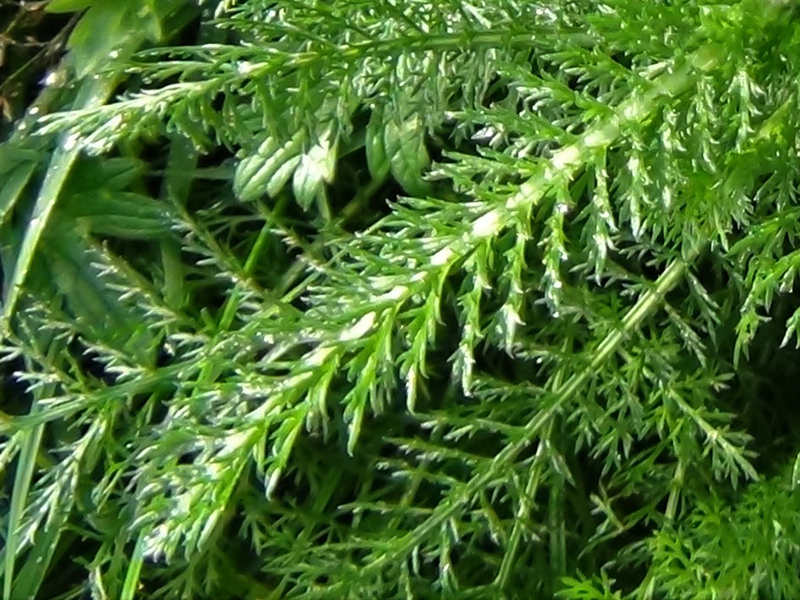 Fairly neutral with a slightly medicinal taste. 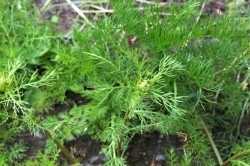 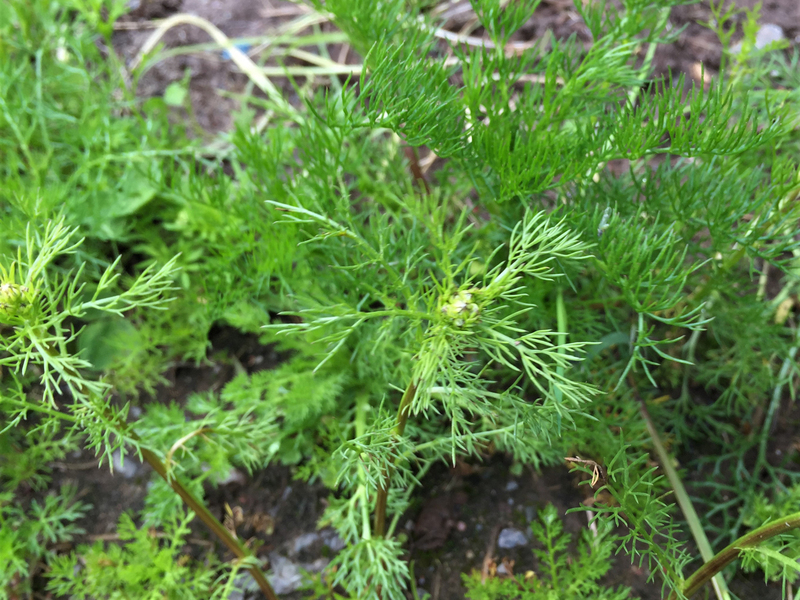 All parts or this plant can be used as a medicine, the leaves are best for salads. 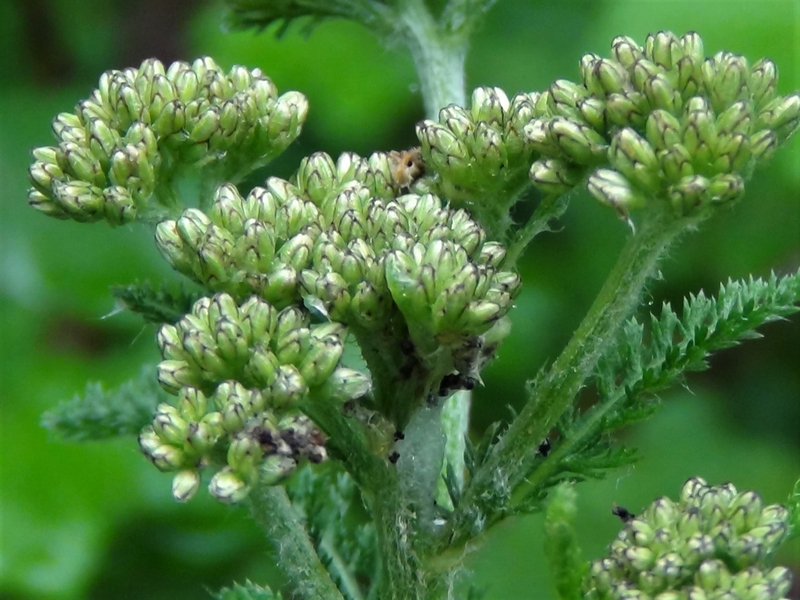 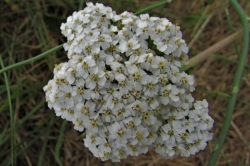 As some of the common names imply, Yarrow can be used to staunch bleeding from wounds and nose bleeds. 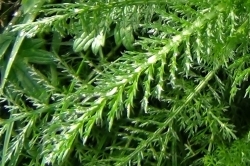 It also contains salicylic acid which Aspirin is synthesized from and was used to treat fevers. 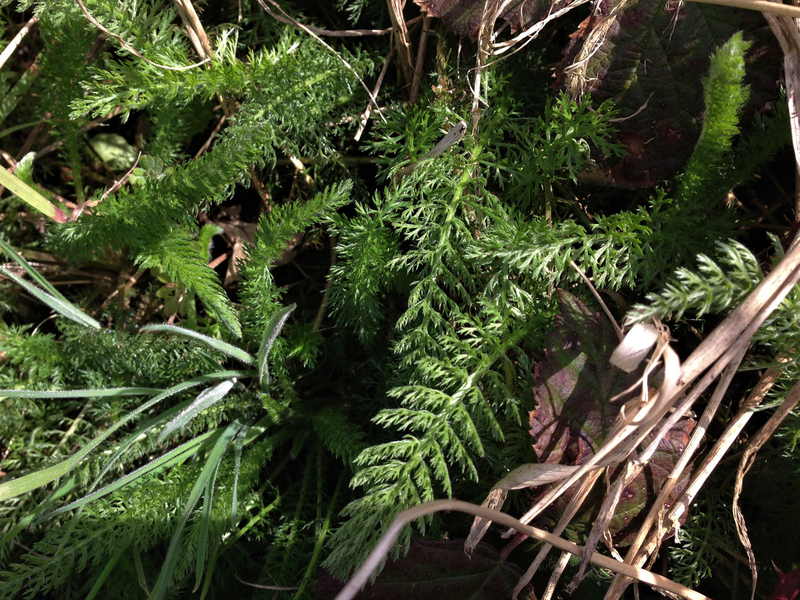 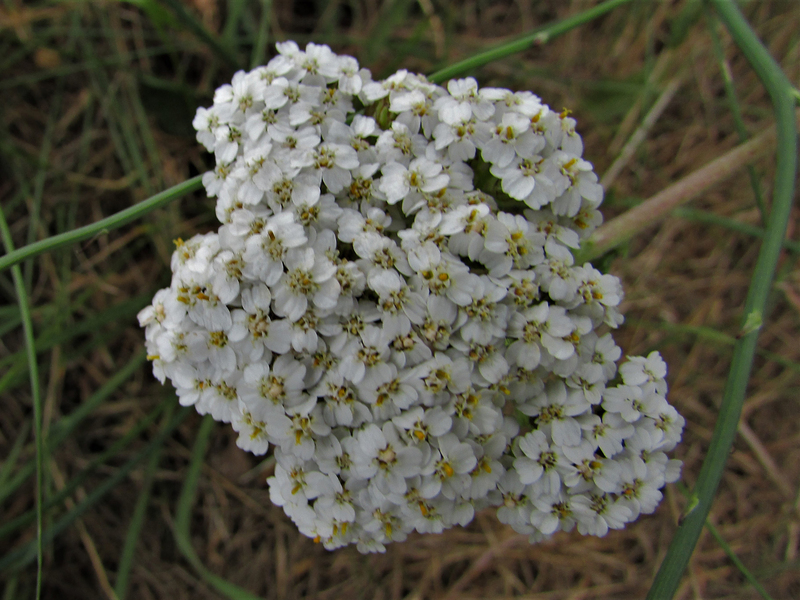 Yarrow has deep roots and has been used to prevent soil erosion. 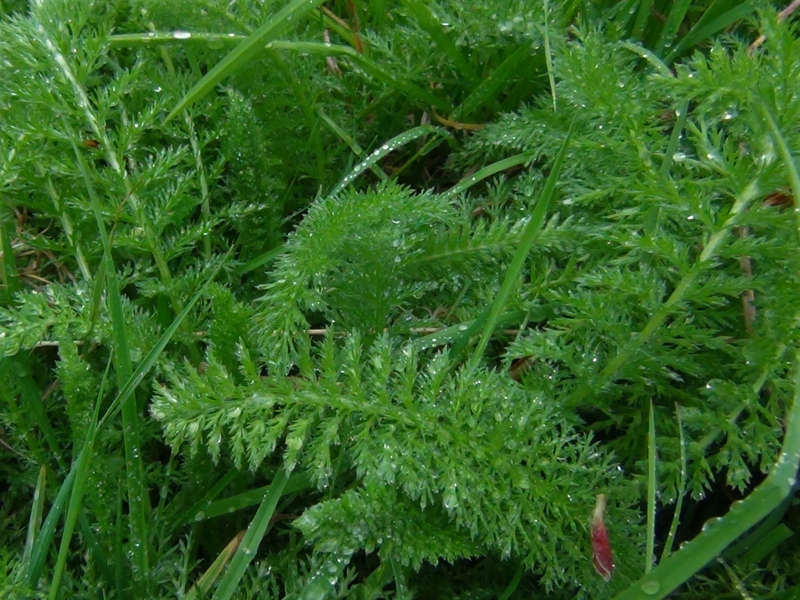 It is also planted with grasses used for fodder due to its high mineral content.